January 2014 ~ Eat. Run. Rehabilitate. Today's post is the fourth part of my self-SFMA(Selective Functional Movement Assessment) case study series. Specifically, We will look at and break out my dysfunctional Multi-segmental Flexion movement pattern from my SFMA Top Tier Post. I'm jealous of those that can do this. The SFMA works by assessing 7 general top tier movement tests. All tests are rated and ranked by two broad categories of dysfunctional or functional, and then two sub-categorizations of painful or non-painful. This means there are four basic appraisals of FN, DN, FP or DP. From there you perform a "breakout" of each dysfunctional pattern to determine the cause of dysfunction. Dysfunctional movement patterns are broken down using an algorithm that funnels and filters the problem into either a mobility dysfunction or a stability &/or motor control dysfunction (SMCD). This test helped to determine if the forward bend was an asymmetrical or symmetrical dysfunction…in the presence of pain with the top tier assessment we could also use this test to check for symmetry with pain provocation. We still do not have a clear cause of dysfunction yet, however we do know that I cannot touch my toes and I do have < 80 degree Sacral Angle. This would indicate limited hip flexion and/or limited spinal flexion, or both. If I had been FN with this test we would have proceeded to the rolling patterns to check for a fundamental motor control dysfunction. It is observed that my passive SLR has more than a 10 degree difference from the active SLR. This would indicate a possibility of a core stability, hip flexion strength problem, excessive hamstring tone, guarding or a hip mobility dysfunction. 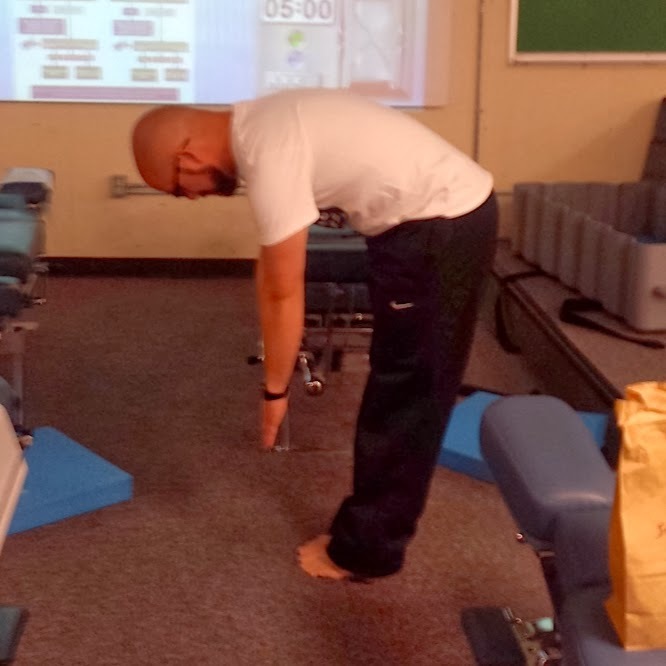 Supine Knee to Chest Holding Thighs Test = DN (Unable to bring knees and thighs to chest while supine.) This test is used to check the mobility of the hips while they are in an unloaded or non-weight-bearing position. Doing this also helps to differentiate a difference between hamstring mobility and hip mobility dysfunctions. Breakout Findings: If we follow the breakouts one would deduce that I have a hip joint mobility dysfunction or a posterior chain tissue extensibility dysfunction or both…as well as a possible hip flexion strength or SMCD dysfunction. But that isn’t as important considering that we would need to treat the mobility dysfunction before addressing any SMCDs. Do you have any ideas/suggestions/thoughts? Let me know in the comments below!